At its core, retail in the future will continue to be what it has always been about: the relationship with the customer. It’s just that the means by which we establish and maintain that relationship are continually changing, propelled by unprecedented advances in technology and changes in popular culture, which in turn drive the new trends for 2017 and beyond. Consumers have challenged retailers to deliver more than just transactional experiences in stores. They’re looking for memorable experiences that give them a reason to visit and keep coming back for more. 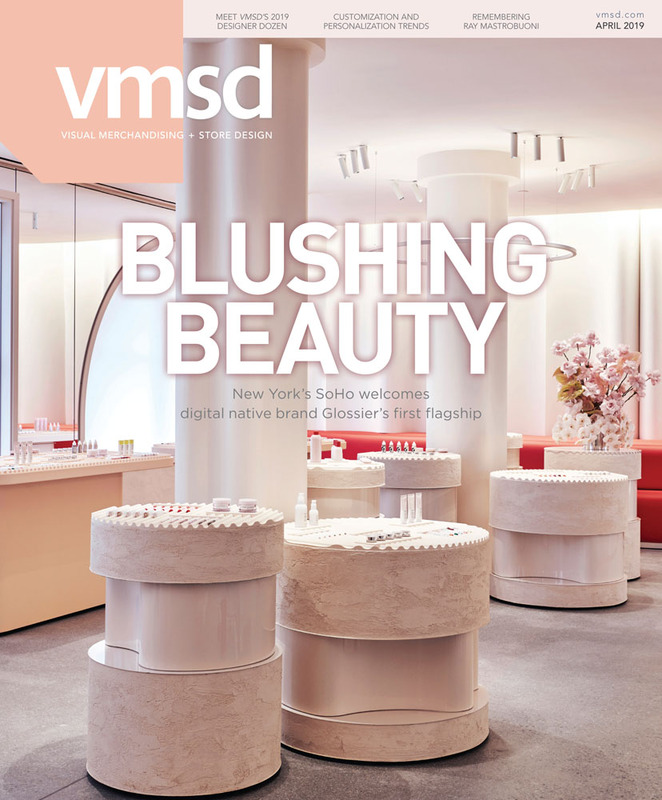 In fact, more than half of VMSD-surveyed readers declared that it’s no passing fad; experiential is here to stay. adidas Originals ‘Future House DXB,’ Dubai, U.A.E. / Marvin Buravag, Dubai, U.A.E. He says that while the idea of delivering a good experience is not new, the nature of the experience has changed. And retailers and designers are listening: Of those respondents, 34.5 percent reported that their organization has been involved in designing an experiential space within the past year. Lee Peterson, evp, brand, strategy and design, WD Partners (Dublin, Ohio), says retailers that offer up their stores as places to gather, socialize, listen to music, eat and drink, understand the value of these experiences beyond simply increasing dwell time. The thing to remember about using any type of in-store technology is that you’d better understand why you’re doing it, says Brian Dyches, principal, Atmospheric Design + The Digital Experience Lab (New York). Kepron says the challenge to implementing digital elements is finding the right approach to engage consumers in relevant ways. Once you’ve committed to integrating digital technology into your stores, the next step is to decide what tech tools best support the brand. More than 60 percent of survey respondents said some form of in-store interactivity was the most important component. In-store digital signage followed (21.7 percent), along with beacons (8.7 percent) and augmented/virtual reality (7.8 percent), according to our survey. But Peterson says that investing in expensive hardware may not be the best strategy. A few years ago, he says, WD Partners conducted a consumer survey about what digital components or tools they wanted most to see in stores. Mobile checkout? In-store customer reviews? Retina scanning? Thumbprint identification? What does that say? The conclusion we drew is that stores need to be two things; one is a fulfillment center. But if [consumers] do go into your store, they want technology that makes it easy, efficient and convenient to make their purchases and get out,” Peterson says. West Elm (San Francisco) is among a number of retailers opening their own branded hotels. Is it a trend? And does it make sense? More than 60 percent of our survey respondents said “yes” and “yes.” Another 32 percent were on the fence. Similarly, West Elm (San Francisco)recently announced its own hospitality venture, West Elm Hotels, with five U.S. locations planned to open by late 2018. The boutique hotels will feature distinctive designs that reflect the communities in which they operate, with a “focus on making real community connections for visitors and residents alike,” explained David Bowd, co-founder of DDK, West Elm’s partnering management company, in a release. Leather goods retailer Shinola (Detroit) and Venice Beach, Calif.-based bedding startup Parachute have also announced they will throw their hats into the hospitality ring. We’ve spent the past few years trying to figure out what makes consumers from Gen Y, or millennials, tick. But the next influential wave of consumers on the horizon is the 21st Century generation, born around 2000. Should they be a critical part of retailers’ thinking? A clear majority of respondents think so, with 57 percent reporting that marketing and designing for Gen Z is already on their radar. The future is always fuzzy, full of unknown challenges and unexpected developments. But retailers heading into 2017 know a few things: The store of the future will look, feel and act very different than the store of the past. Getting a grip on technology is elusive, but the best time to start is right now. Building your stores is important, but building your brands is imperative. And tomorrow’s consumer is already here, looking very different and presenting a host of new challenges.